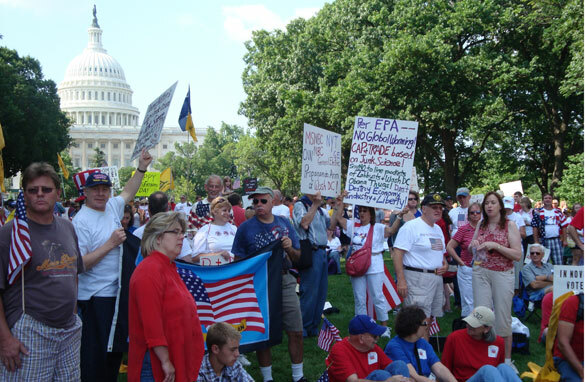 Tea party groups are 'shot through with rich veins of radical ideas, conspiracy theories and racism', says Potok. Program Note: Don't miss Anderson's interview with Mark Potok tonight at 10 p.m. ET. I wonder how much globalization contributes to these hate groups – we see our jobs go overseas and there seems to be nothing the normal person can do to mitigate that. Given that plus the economic recession and all the special groups demanding rights I suppose it would be a surprise if there wasn't a backlash against it all. I just hope that these hate groups are short term, don't harm anyone else, and don't blow up any buildings like in Oklahoma. Homeland Security has its job cut out for it – protecting our country from international terrorism and now from internal terrorism as well.